This letter from Mrs. C.M. 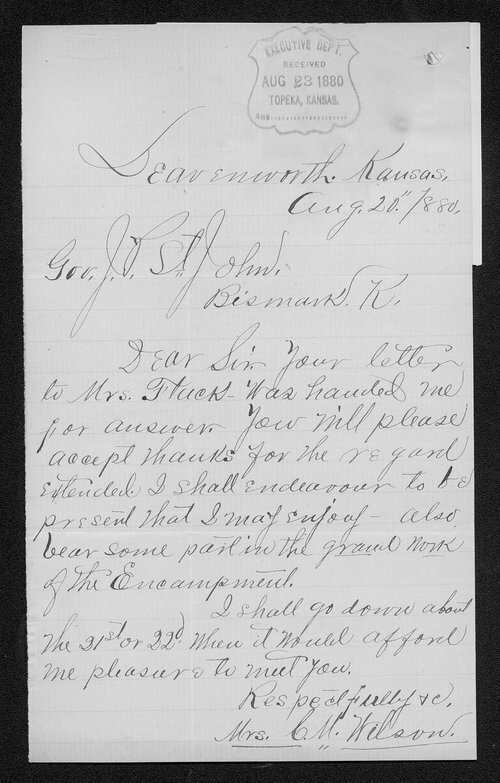 Wilson thanks Kansas Governor St. John, who has authorized her to speak on behalf of the temperance cause. Creator: Wilson, C. M. Mrs.